The Burlingame Community for Education Foundation (BCE) is a non-profit, volunteer fundraising organization dedicated to enhancing the educational opportunities of the children of the Burlingame School District in kindergarten through eighth grade. Amanda L. Riddle is a Burlingame public school parent. The Center for Independence of the Disabled (CID) is a private, nonprofit Corporation located in Belmont, California. Annually CID helps more than 2,000 people with disabilities in direct and indirect services. It also helps more than 3,400 people with disabilities with individual and systems advocacy issues. CID is one of 29 Independent Living Centers in the State of California and 424 Independent Living Centers in the United States. CORA provides free and confidential services to victims and survivors of domestic/dating violence and abuse, including child and teen witnesses, in San Mateo County. CORA’s services include support groups, legal services, emergency and transitional housing, and a 24-hour hotline in English, Spanish, and Tagalog. The Friends of the Millbrae Library work hard every year to provide funding for those library enhancements not allowed for by the library budget. The group sponsors community events and activities, publishes newsletter three times a year to keep the community informed, and holds book sales to raise funds for the Millbrae Library. Our firm proudly serves as legal counsel for the organization. In 1959, a dedicated group of lawyers and community leaders recognized an unmet need to help the less fortunate in San Mateo County. Thanks to these founders, the Legal Aid Society was born in a small one-room office. One of Legal Aid’s earliest cases involved a Spanish-speaking maid who was not allowed to retrieve her belongings when she resigned. Legal Aid successfully advocated on her behalf and the client was able to recover her possessions. Since then, the Legal Aid Society has grown to become one of California’s most respected public interest law firms. A vital voice for San Mateo County’s under-served populations, the organization has received awards for excellence in the delivery of legal services. Legal Aid continues to provide free, quality civil legal services to San Mateo County’s low-income residents. Its advocacy has evolved with the times; its attorneys and staff fought for civil rights in the 1960s and fair wages for farm-workers in the 1980s. Today Legal Aid’s work encompasses nine broad areas: Caregivers, Children, Children and Adults with Disabilities, Seniors, Teen Parents, Health Care Access, Income Maintenance, and Housing. LifeMoves (formerly InnVision Shelter Network) was founded in 1987 to provide a comprehensive coordinated network of housing and social services for the homeless residents of the San Francisco Peninsula. It now has six17 transitional housing programsfacilities from Daly City to San Jose, more than 40 full-time staff, and hundreds of volunteers. LifeMoves is the Peninsula’s principal provider of housing and support for homeless families and individuals. It provides over 100,000 nights of shelter and serves more than 3,000 homeless adults and children every year. Over 80% of families and 65% of single adults who complete LifeMoves programs succeed in returning to permanent homes of their own. Amanda L. Riddle serves on the board of directors of LifeMoves. George Corey and Stevan N. Luzaich are past board members. Opened in the fall of 2006, the Margaret J. Kemp Camp for Girls houses young women of San Mateo County between the ages of 13 and 18 who are facing current criminal charges, and are suffering from substance abuse and mental health problems. Active in, and greatly supportive of, the development of the camp’s library, our firm donated funds for the purchase of academic and core reference books. Amanda L. Riddle is a member of the inaugural class of mentors for the residents of the camp. 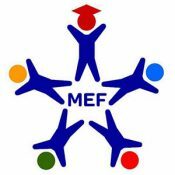 Millbrae Education Foundation (MEF) is a non-profit, 100% parent-volunteer-run organization funding technology and music in Millbrae’s five public schools. In March 2000, several elderly Millbrae homeowners sustained property damage in a massive mudslide. Our firm filed suit on their behalf. The suit, filed against various private parties and public entities, resulted in a settlement exceeding $6 million, in addition to $7 million in landslide repair. In addition, we formed the Millbrae Landslide Foundation, funded through private contributions from citizens of the Peninsula to aid and assist the victims of the landslide. The Millbrae Lions Club is a fun and vibrant association of men and women who love their community. They are all volunteers making up a “family” of local business people, police officers, contractors, teachers, former and current members of their local city, county and state government, representatives from the banking, accounting and legal professions, and retired community leaders who have the urge to make Millbrae a wonderful place to live. They strive to help those in need and are rewarded only by the smiles on their faces. Stevan N. Luzaich acts as legal counsel for the organization. Samaritan House is a private non-profit organization providing services to help meet the essential daily needs of over 12,000 low-income people within San Mateo County. Services include case management, clothing, medical care, food, shelter, employment assistance and food and toys for the holidays. Each holiday season, our firm participates in the Adopt-a-Family Program, providing food, gifts and toys for the clients of Samaritan House. We also join the San Mateo County Trial Lawyers Association at their annual “Lawyers in the Gutter” bowling event, which benefits Samaritan House. Rotary clubs exist to improve communities through a range of humanitarian, intercultural and educational activities. They advance international understanding by partnering with clubs in other countries and encourage high ethical standards in all vocations. Rotary clubs address critical issues at home and abroad by providing health care and medical supplies, clean water, food, job training, youth development, and education to millions of people in need. Rotary’s motto is “Service above self”. Rotarians take pride in applying Rotary’s “Four-Way Test” to things they think, say or do: (I) Is it the TRUTH? ; (II) Is it FAIR to all concerned? ; (III) Will it build GOODWILL and BETTER Friendships? ; and (IV) Will it be BENEFICIAL to all concerned? Edward Daniels is active in the Rotary Club of Half Moon Bay, and was elected to the board of that club for 2013-2015. Founded in 1977 in Half Moon Bay, Senior Coastsiders has become the focal point for senior services on the San Mateo County coast. Senior Coastsiders strives to create an atmosphere that acknowledges and affirms the value, dignity and self-worth of seniors and adults with disabilities. The organization also serves as a resource for the entire community for information on aging, support of caregivers, and development of innovative approaches to address issues of aging. Edward A. Daniels serves as legal counsel for Senior Coastsiders, assisted them with contracts for the construction of a beautiful new facility in Half Moon Bay, and was elected to the organization’s board.